Oh, Kia, your card is gorgeous, and I love the woodgrain background - wow! 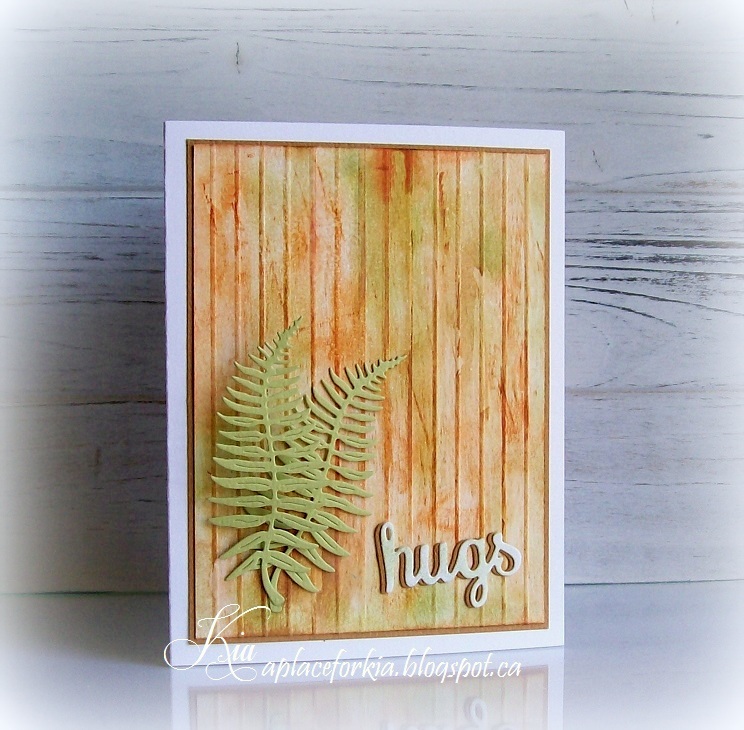 And the ferns are beautiful! I love the shape, size, and how they even have some added embossing! Stunning card, sweet friend! Hugs!